If you're a small business owner then you know how important it is that your customers can find your business online is. Not understanding how search engines work and the amount of work needed are some of the reasons that your website can struggle online. Many website owners believe that the right domain with the right key words will work or that meta data is all that is needed to get on the first page of Google. A few years ago it was easy to build a website, add some optimized key words, find a website for links back. I could say that their website would show on Google pretty easy. SEO is not a one time service. It's not set it and forget it. It's time and energy and research. Why not have someone on your site that will listen and work with you. Now more than ever small businesses need to look at their website differently for results. If your website is not showing up when and where it needs to be then it needs more than a new website design or a blog or two. Search Engine Optimization (SEO) has is a comprehensive process. How much time do you have to devote with the amount work involved. 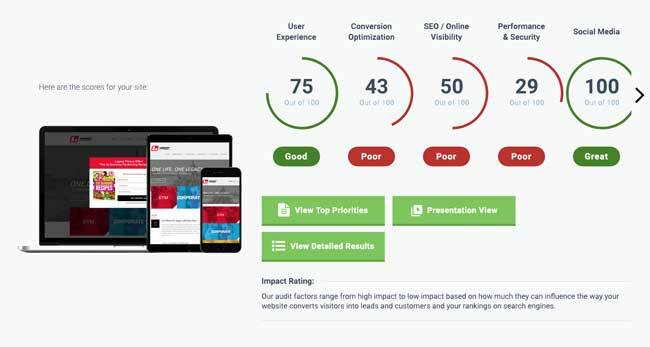 Need a quick snapshot of how your website is performing? Submit your email and website to download this easy to read report. It includes any technical issues, basic site rankings, any Google compliance issues, and more. "GlobalSpex has done an outstanding job with helping us achieve a dominant internet presence for homeowners. I recommend them to all my friends and business associates." Make your website a powerful and cost-efficient lead generator for your sales team. We've worked hard to create a system and process to build leads. We take cues from you first. What are you fired up about? Why do your customers buy from you? What makes your company unique? This is where we start. We've seen great results through testing and research, time and analysis. It does not happen in a month. It takes months. Between 2016 - 2017, our digital marketing helped a local plumbing company increase traffic 55% and see a conversion increase 124%. What is a conversion? A conversion is the action we want each user to take that would register a successful marketing action. For example, a phone call or subscribing to a newsletter or requesting an appointment. Now you have to consider that you got to the top of Google search but the website is not performing and turning that traffic into qualified leads. That's why we take a big picture approach. We don't just want you to get on that first page, we want to get you the leads. We want to show you a Return on Your Investment. We help small businesses that need the phone to ring but have to deal with running that business. Imagine your business when you can honestly have to hire more help. When you have start saying no because you are too busy. When you can make a difference in the bottom line. What could you do then, instead of being confused by how digital marketing works or how you can compete, you can focus on what you do best? Houston SEO, Search engine optimization, is not only about Search Engines, it’s primary purpose is to make sure your customers can find your website, find what they need on your website and know what to do when they get to your website. GlobalSpex SEO Marketing can be your partner on the internet. Our work is organic. Meaning we start with research and your goals then we work on your website. Content is king as Google says and we take that seriously. As part of our web development services (Yes, all of our websites are optimized regardless how small or big), our websites perform well in the search engines because they are built on sound SEO principles. Websites that are not search engine friendly will not perform well in the search engines despite all your SEO efforts like content, link building, meta tags, and key word research. We work to have HTML that validates and we strive for zero html/xhtml code errors. Great website navigation and organization, clean code, smart linking, and easily-categorized content is our Houston Texas SEO Services' baseline. We don’t hype miracle cures or deception. 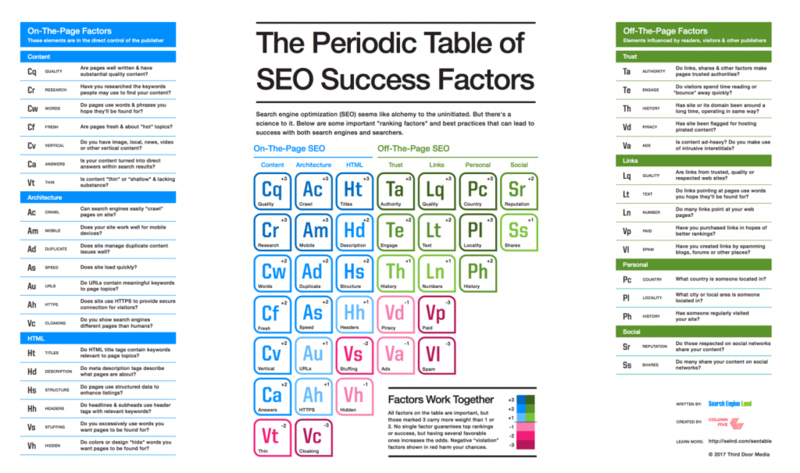 Search engine optimization (SEO) seems like alchemy to the uninitiated. But there's a science to it. Below are some important "ranking factors" and best practices that can lead to success with both search engines and searchers. How SEO is not about size of a website but the content. Listen to Google Webmaster's answer to "How much does the size of a web site (# indexed pages/content) have an effect on its authority in Google's eyes?" Answer? It's the size but number links from other websites. Why Good Content Is Important to SEO? Even though you get top in the rankings, doesn’t always mean that folks will stay there. Always ask yourself, is this information my customers want to read about and learn? Will this help them make a decision? Will this keep them on my site and not hit the back button (your bounce-back rate)? Is this informatioBelow is a video from one of Google’s software engineer, Matt Cutts. In it he explain that it’s not really the size of your site but the quality of the links to it. How important and unique is your content?n unique and relevant? We can help with this. We have SEO writers that can convert your content from blah to Wow! We’ll make sure that your customers know “the next step.” What we mean is that your visitor will know to call, email, register, or sign-up. Don’t make them guess. Why is Good Website Code Important? Google, Yahoo, and MSN each have their own means of collecting websites that are relevant to your search queries. Each Search Engine uses an algorithm based on links from and to other sites, your web content, meta tags, and a myriad of other technical issues. Well, there are few items that the SE bots look for when they come to your site. Meta Title Tag. Users are more likely to click a link if the title matches their search. Meta Description Tag. This information may show in the SERP (Search Engine Results Page). Meta Keyword Tag. Google does not care for this but Yahoo and Bing do. Actual text. Fill your pages with relevant content (not text made to be a graphic). Actual links to either internal pages or other websites. Every incoming link to your site is a ‘vote’ indicating importance. But not all links are created equal. Link popularity remains an important part of a successful search engine optimization campaign. We will help you attract the kinds of quality links that can improve your rankings. Baiting. Content is king! Always! We will help make your site unique. “Google algorithm has become much more elegant and advanced, devaluing staggering amount of links that shouldn’t count, and placing more emphasis on trusted links.” Great article on "Why Houston SEO content important". Directories. We use a combination of paid and free directories when establishing directory links to client sites, and these will vary based on the subject or niche of pages. Widgets. Build feeds from videos, blogs, RSS, and tweets. By adding content through feeds, you are reaching people external of your site and connect with end users directly. We use the 3 major search engine webmaster tools for Houston SEO. We won’t hide this from you and don’t try assume that we’ve got special, secret gear. We use these tools because they are there for a reason but it means a bit of manual effort to review your website based on what the Search Engine see. Each SE has their own algorithm but they are useful. From these pages, we register your website by uploading robots.txt and, if needed, a sitemap file. Below are the Houston SEO online tools that you can review yourself. PageRank relies on the democratic nature of the internet by using each website’s ability to link to each other. Linking is an indicator of a page’s value. In essence, Google interprets a link from page A to page B as a vote, by page A, for page B. But, Google looks at more than the sheer volume of votes, or links a page receives; it also analyzes the page that casts the vote. Votes cast by pages that are themselves “important” weigh more heavily and help to make other pages “important”. If you have a large website (25+) or a website with dynamic content (content that changes based on a user’s query), Google’s sitemaps program offers a free way to improve indexing of your site. We will make sure your sitemap is readable and accurate. We register your site with the major search engines and directories (not the 1000 that some sites claim), and we will make recommendations regarding any paid submissions we think might help you achieve your goal. For Houston SEO, Google doesn’t require submission or registration, but it can be helpful to manually register (see webmaster tools below). Yahoo and several other hybrid search engine/directories have expedited and pay-to-submit services that are sometimes worth pursuing.